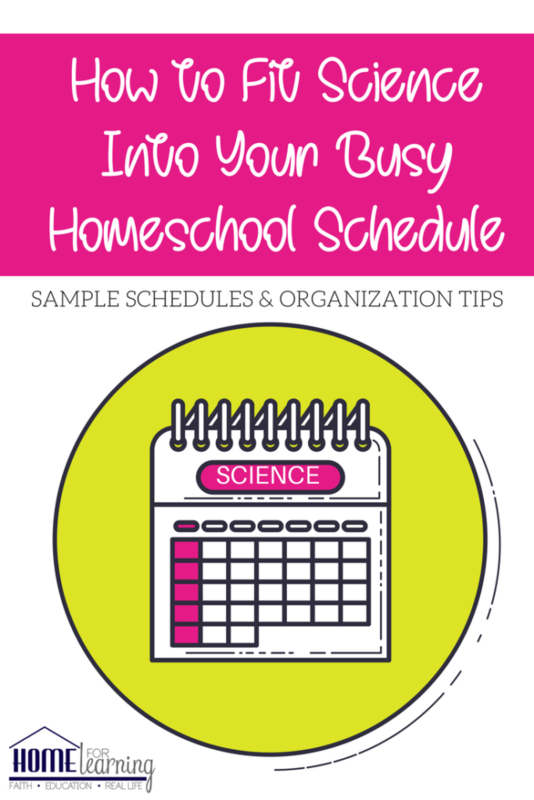 How to fit science into your busy homeschool schedule- start with organization. Ideally science would be taught every day. Realistically that’s not always possible as children grow and have many subjects to cover. 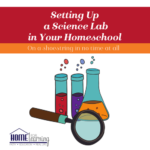 What does organization have to do with science? 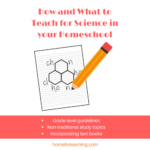 Studying the principles of science requires an organized approach. 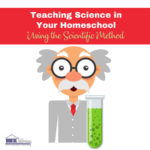 Don’t let the fear of how much time science will take factor in to your decision about whether or not to teach it! 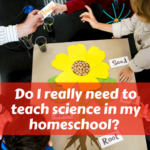 There’s no such thing as a perfect homeschool mom. Or perfectly organize done. 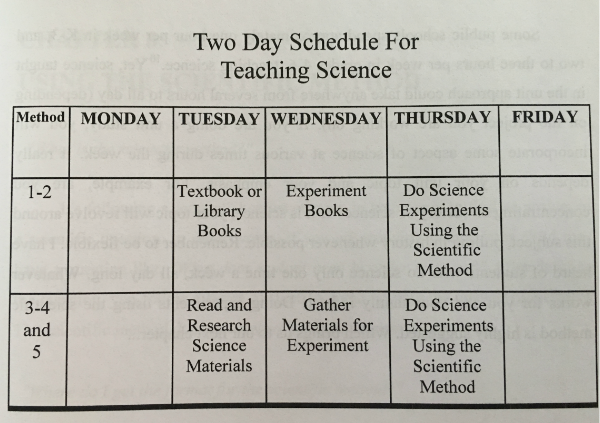 Method 4 – unit study approach: books to read on the topic, biography, experiment books. 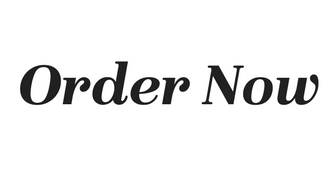 Remember, these are suggestions. 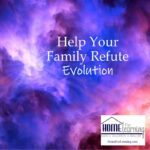 You make the decision that’s good for your family. Again, while these are what worked for us and what I recommend, please do choose a length of time that fits your own family. 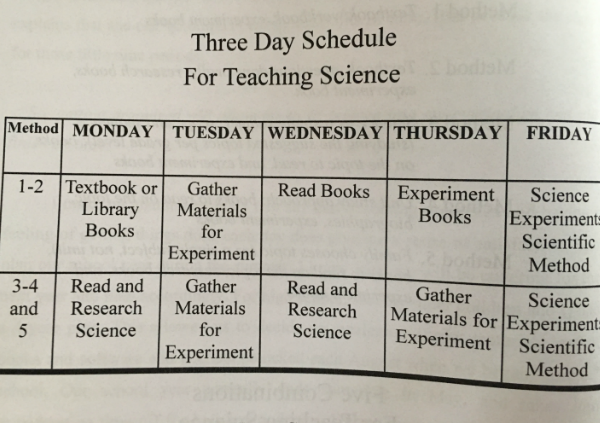 One thing to remember is that when using the unit study approach to science, you’re not just teaching science in this approximated time- you’re teaching several subjects! That’s a time savings! 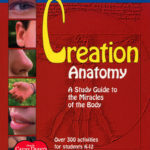 Check out the New Creation Science Podcast!